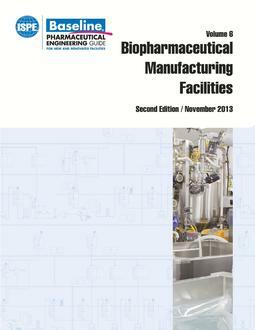 The Sterile Manufacturing Facilities Baseline Guide addresses the design, construction, commissioning, and qualification of facilities designed for aseptic processing of formulated products. The Guide is designed for use by industry for the design, construction, commissioning, and qualification of new or renovated aseptic/sterile manufacturing facilities. This Guide covers facilities for aseptic processing and terminal sterilization of formulated products, generally for parenteral use. It is applicable to formulations that use active ingredients devised from either conventional chemistry or biopharmaceutical processing. It is not applicable to bulk pharmaceutical chemicals, however, some parts may be relevant for facilities that produce sterile bulks, for sterile manufacture at development scale, medical devices, or other sterile products. It also should be noted that the purpose of the Guide is not to give guidance on production of clinical materials. The Guide is primarily intended for facilities that meet regulatory requirements in order to supply the US market and follows US standards and references. The Guide also may be helpful to manufacturers that need to meet European requirements. The Sterile Manufacturing Facilities Baseline Guide is being considered for revision. The Technical Documents Committees are requesting comments from anyone who has used the Guide and would like to contribute comments on how they feel the Guide could be updated, amended, or expanded during the revision process.